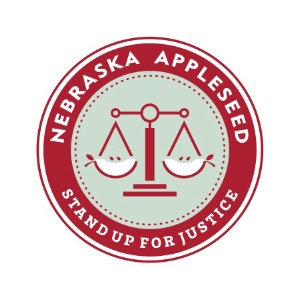 Nebraska Appleseed fights for justice with immigrants, refugees, low-income families, and foster youth to build a better Nebraska for all. $35 prints 500 postcards for advocates to sign and deliver to lawmakers. $50 provides a Medicaid Expansion advocate one-on-one training with an Appleseed organizer. $500 gives Nebraska Dreamers the opportunity to go to DC to speak with lawmakers with zero travel cost. For years, Caroline fought a chronic illness and fought to stay employed, taking on multiple jobs to help pay for her medical bills. But her disease often kept her from being able to work. Unexpected medical emergencies and expensive medications threatened her life and made it impossible to make ends meet. Like nearly 100,000 Nebraskans without health insurance, she was faced with impossible choices, every day. When Nebraska Appleseed began efforts to expand Medicaid began in 2013, Caroline was one of the first to join the Medicaid expansion fight. She quickly became a driving force alongside Appleseed, taking on a leadership role as she worked to find a solution to the problem that she and so many others faced. Early on, Caroline spoke with a woman who, like herself, couldn't get affordable health insurance. The woman’s expression changed from one of frustration to amazement as Caroline explained how nearly one-hundred thousand Nebraskans were hurting, sick, and unable to get the care they so desperately needed. She helped the woman realize, for the first time, that she was not alone. Nebraska Appleseed is proud to fight alongside advocates like Caroline every day, who want to make their voices heard and impact their communities for change. Whether that means taking Caroline's fight to the courthouse, advocating for change with her lawmakers, or building community support, Nebraska Appleseed exists so that when Nebraskans like Caroline fight for justice, they're never fighting alone.